The school is accepting applications for 2019-2020 for openings in all grade levels except 3rd and 7th grades for which we are accepting applications to the wait pool. Applications for consideration in the second round of admissions are due by April 19, 2019. Since the school typically fills openings in Grammar School (K-5) and Logic School (6-8) by the end of the second round, any application received after April 19 will not be processed until after the second round notices are sent on May 9, 2019. CAMPUS TOURS: All applicants will be required to tour our campus and visit classrooms. Please contact the Admissions Office to schedule a tour. TESTING (GRADES K-4): The Admissions Office will contact the applicant family to schedule on-site testing once the application is complete. Please note that kindergarten applicants must be 5 years old by August 1 of the entering school year. TESTING (GRADES 5-11): Students applying for fifth grade and above must take the Independent School Entrance Examination (www.iseetest.org). The test can be taken at either Geneva, Prometrics or another school in San Antonio that is hosting the test. Details about the ISEE (i.e. fee, sample questions, test site locations, etc.) can be found at www.iseetest.org. Our school’s code is 447583. This code is needed for the registration form. The ISEE results must be provided to Geneva School before an application is considered complete and ready for review. A) Geneva is a “closed” test site, meaning only applicants applying to Geneva are allowed to test at our school. If you wish to have your student take the test at Geneva, please register online at iseetest.com a minimum of three weeks before the scheduled test date. You will need to contact Admissions Director Ellen Yarbrough to get an Invitation Code for the date (each code is unique to the date) you wish to test. The cost to test at Geneva is $110. Late fees will be applied if you do not pre-register. Depending on the number of students pre-registered, there may be availability for the student to “Walk In” the day of the test for a fee of $150. Saturday, December 1 @ 8:30 a.m.
Saturday, December 15 @ 8:30 a.m.
Saturday, January 26 @ 8:30 a.m.
B) Prometrics is a testing facility with locations across the country, including San Antonio (16648 San Pedro Avenue, San Antonio, 78232, 210-494-7263). To register your student to take the test at Prometrics, please go to iseetest.org and select the Prometrics testing option. Please note this option will cost $190 per student. Our school’s code is 447583, which is needed for the registration form. C) Other private schools in our area are “open” test sites where any student applying to any school may sit for the test. To register your student to take the test, please go to iseetest.org. Our school’s code is 447583, which is needed for the registration form. APPLICATION REVIEW: Once the application (including testing) is complete, the file will be reviewed by the Headmaster of the school to which the student is applying for approval to proceed to the next step in the application process. STUDENT INTERVIEW: All students of both current and new families applying to 4th grade and above will interview with the Headmaster of the school to which they are applying. The Admissions Office will contact the family to schedule the student interview. PARENT INTERVIEW: Once an application has received approval from the appropriate Headmaster, the Admissions Office will contact parents to schedule their parent interview.  The parent interview is only necessary for new families, not current Geneva families. Parent interviews will be conducted on Tuesdays, Thursdays and Saturdays. Should you have any questions, please do not hesitate to contact Ellen Yarbrough in the Admissions Office at 830.755.6101, ext. 203.